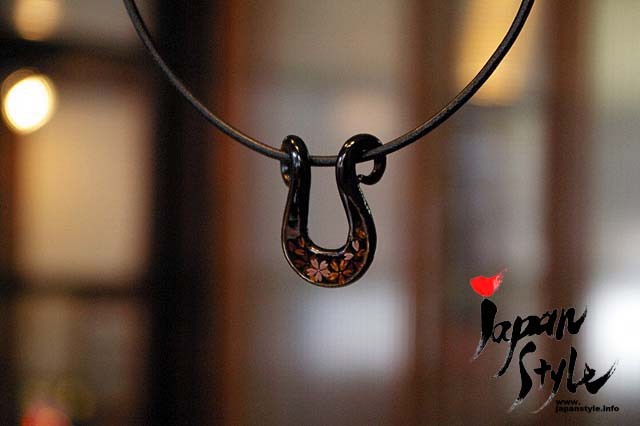 This is the pendant with a horseshoe shaped Nanbu Iron (painted lacquer). Although it’s small and simple, the texture of iron and the shape of horseshoe match each other and make it distinguished. Moreover, it looks like “water droplet”. The Water Droplet design is the essence of the harmonious sound of a serene mountain spring dripping. This item is NOT commercial one by a craftsman’s hand. Recently, Nanbu Iron has increasingly gained an international appreciation in the fashion world in such places as New York City and Paris.Today’s popularity of Nanbu Iron can be directly traced back to its roots 400 years ago. Today’s two particularly popular items that came out of this time period are the vine-shaped handled iron teapot and the decorative iron wind chime. Both items are very beautiful to see and touch. “Urushi” is natural paint and coating refined from Japanese poison ivy. 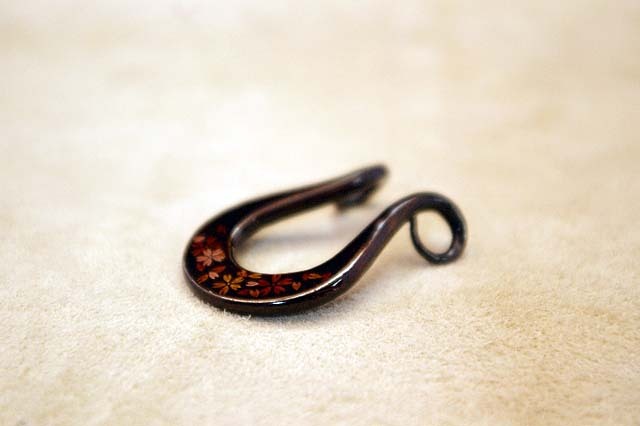 For 5500 years, the Japanese people have been using urushi as a decorative, finishing lacquer. 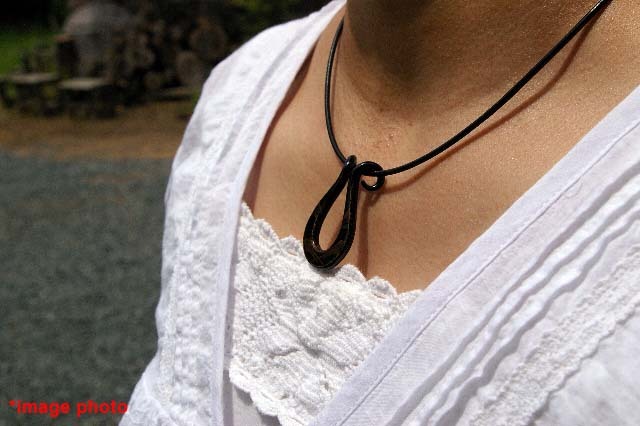 Throughout Japan’s long history, traditional urushi has been used in a variety of setting s to decorate, including religious places such as Shinto shrines; and within the military armor and weapons arena to decorate such items as swords, spears, helmets, and other armor; and, in prominent households such as the Emperor’s, local kings’, and the Samurais’ to decorate various dishware. A few hundred years ago, when the first Europeans saw and used traditional urushi (they called it “JAPAN”), they immediately fell in love with the style and utility for the same reasons as the Japanese people have used and loved urushi for thousands of years – on both wood and iron. The finishing shine creates a brilliant artistic impression, while creating a renowned strength on the product; in addition, the lacquer highlights the surface of the product in order to give the beholder of the product a personalized experience. If the Etsy link is dead and you have questions about the item, please contact me here.